Initially commissioned by Napoleon, the Arc de Triomphe is a monument to those who fought for France. One of my favorite ways to see Paris at night is from the top of the Arc de Triomphe but be sure to allow enough time to take in the magnificent 360 degree view of the city of lights…which is exactly what we didn’t do! From the Arc de Triomphe at night. The Arc de Triomphe is one of the top sites to visit in Paris but actually getting to it can be tricky. The monument is situated in the center of the Place Charles de Gaulle which is a roundabout with twelve different avenues connecting to it. The traffic traveling around the roundabout is notorious! And actually quite fun to watch. Underground walkway is to the right of the Arc de Triomphe. With there being no crosswalks to the Arc de Triomphe, DO NOT TRY TO CROSS THE ROUNDABOUT TO THE ARC! There is a safe way to get there… use the underground walkway. The entrance to the walkway is on the right side of the Champs Elysees if you are facing the monument with the Champs Elysees behind you. It takes you under the roundabout and safely to the monument. To start, the square was originally the location of the guillotine. Several name changes later, it became the Place de la Concorde and is Paris’s largest square. Directly in the middle is the Luxor Obelisk from Egypt. 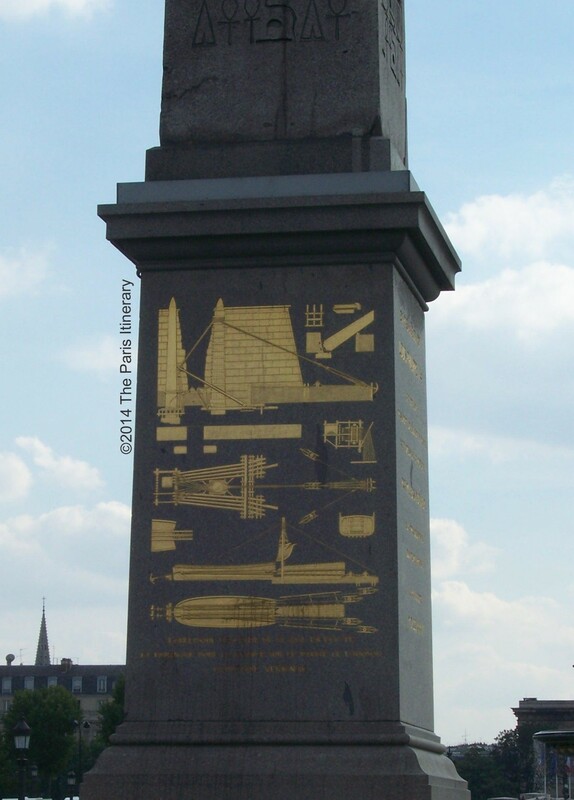 Depicted on the obelisk is a diagram of how it was moved from Luxor to Paris. I love a good travel itinerary but sometimes the most memorable experiences come from the unplanned. 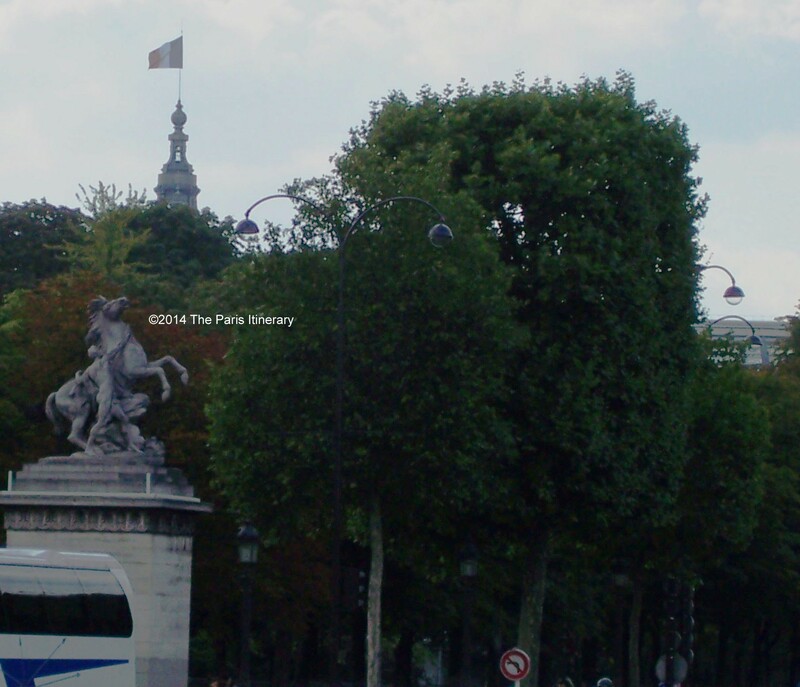 One of my favorite travel memories is from when I was walking with my mom to the Place de la Concorde from the Arc de Triomphe and suddenly there was a noticeable change in surroundings. Crowds had thinned out. The noise softened. We had even slowed our pace. I looked around and realized we were walking pass the Jardin des Champs Elysees. For those few minutes as we passed by, it was like we had Paris all to ourselves. The contrast between the two busy ends of the avenue with a slowed down pace of the garden in between left a strong impression in my mind. So why tell this story…well, memories can come from anywhere, at anytime and you don’t want to miss experiencing them. While our itinerary was to arrive at the Place de la Concorde, had we been too focused on our destination, we would have missed experiencing this brief moment of serenity. So during your visit to Paris, be sure to be where you are. These little experiences cost very little but add richness to your travels.